Cronobacter spp. are opportunistic pathogenic bacteria responsible for severe infections in neonates. Powdered infant formula has been confirmed to be the source of infection in some cases. Bacteriophages offer a safe means for eliminating this pathogen. 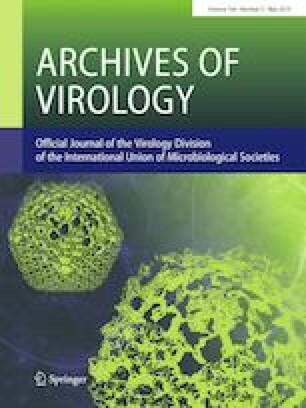 In the present study, we characterized two closely related Cronobacter-specific bacteriophages of the proposed genus “GAP227virus”. The phages Dev-CD-23823 and Dev-CT57 possessed broad host specificity, as they infected 88% and 80% of the Cronobacter strains tested. Genome sequence comparisons of phages Dev-CD-23823 and Dev-CT57 showed different levels of similarity to the prototype GAP227 phage. The Dev-CT57 phage was highly similar, whereas the Dev-CD-23823 phage showed only 75% sequence identity. A phylogenic tree based on the RNA polymerase (RNAP) gene from selected representatives of the subfamily Autographivirinae confirmed the grouping of Dev-CD-23823, Dev-CT57 and GAP227 in one cluster together with phages PP2, Phi80-18 and PhiR8-01. A common conserved motif was also detected in the RNAP promoters of these phages. The functional activity of these RNAP promoters was confirmed experimentally using a promoter probe vector, and a phage-specific signal was observed; however, some cross-specificity of Dev-CD-23823 and Dev-CT57 promoters was also detected. These results will contribute to our understanding of the biology and evolution of Autographivirinae phages. The online version of this article ( https://doi.org/10.1007/s00705-019-04202-3) contains supplementary material, which is available to authorized users. This work was supported by the Slovak Research and Development Agency under Contract no. APVV-16-0168, and by the Research and Development Operational Programme, funded by the ERDF (ITMS 26240220086).